The symphonic orchestra “Globalis” – 15 years! The symphonic orchestra “Globalis” appeared in 2000 under the initiative of a great Russian conductor Konstantin Krimts (02.10.1939-04.08.2008). He became the main conductor and the artistic director of the orchestra. The distinctive feature of the orchestra is their ability to discover new forms of presenting modern as well as classical musical material. As a consequence we have such musical projects as “The Music of the Great Dinasty” (In the Hall of the Cathedral of Christ the Savior the orchestra performed the works of the Imperator Alexander II, the Great Duchess Alexandra Iosiphovna and the Great Prince Konstantin Konstantinovich), “School Classics”, participation of “Globalis” in a rock festival “Invasion” (together with groups “Aria” and “The King Jester”) and in the concerts dedicated to Viktor Tsoy (20 years without “Kino” and “the Music of “Kino” for orchestra). The unforgettable experience for the musicians as well as for the audience was performance of “Globalis” with great composers and musicians, such as A.Morricone, S. Brightman, M. Pattonom, S. Tankyan, T. Turunen, F. Korobov, P. Ovsyannikov, A. Shaburov, Y. Tkalenko, K. Zharko, D. Banaev. 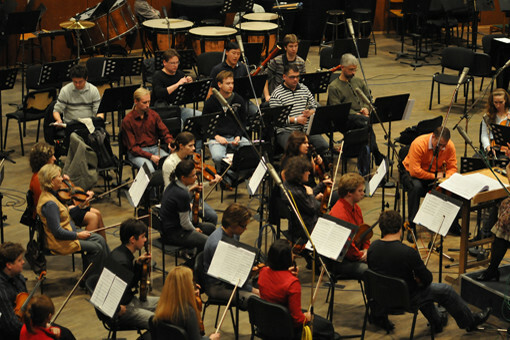 Due to the musical evolution a symphonic orchestra consists of various “little ensembles”. Brass-quintet, an ensemble of violinists, Dixieland, brass band, chamber orchestra as well as string quartet-the most popular and essential feature in a varied palette of shades of a big symphonic orchestra. The fact that the musicians of the orchestra “Globalis” were invited to perform at the events of high level (including the first people in the Russian Federation as well diplomats of different countries) proves the highest level of mastery of the orchestra “Globalis”.